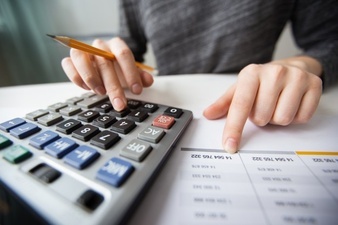 Accounting services are always considered not too necessary. But these services are one of the most important parts of an organization’s systemic functioning and operational capabilities. This is reason why outsourcing the Accounting and payroll services can definitely help you simplify the most important business functionalities of your organization. Here are 10 benefits you can get when you outsource the payroll and accounting services of your business. When it comes to achieving accurate results, outsourcing the payroll and accounting services can be of huge benefit. When it comes to financial results, outsourcing creates a chance of 99.95% accuracy rate. One of the important advantages of hiring payroll and accounting services are the cost-effectiveness that accompanys the services. A business owner can save up a huge amount of money for operational costs and channel that towards important business process funding. When you hire professional companies who are honest and expert in these field to do your accounting and payroll service, it helps you control any possibilities of fraud. These frauds can be done by some internal staff of the business. The service providers will be accountable for every type of transaction processing along with the accuracy and quality control. When payroll processing is done on-time, it enables the quick employee payment through the direct deposits. This aids to keep the employees satisfied and also increases productivity quality which lead to business growth. Inaccurate tax filling can result to tax penalties. Companies can save themselves from these inconveniences by ensuring accurate payroll and accounting processing. As the market is continuously changing with advancement in technologies, companies can take advantage of these technologies by hiring accounting services. Companies may lose focus when they deal with the payroll and accounting processes when it is not their core competencies. Outsourcing creates more time and shifts focus on generating revenue. The outsourced financial services providers can provide suitable tips and relevant advice concerning payroll services when the company expands and the processes become more complex day by day. Bank reconciliations are time consuming. It is an ongoing process that consumes lots of time and effort to track all bank related payments when paychecks roll out. It can be avoided if you outsource the accounting and payroll services to experienced and reliable financial service providers. When you employ the services a professional service provider to handle your payroll and accounting services, you can regularly get all information related to accounting and payroll. You can look at reports about your business provided by service providers to make important financial decisions.